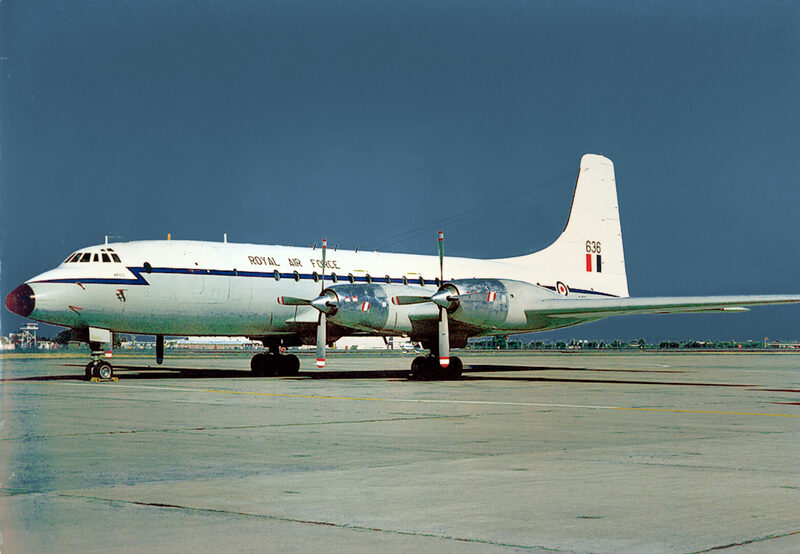 Built to Contract 12829 and delivered to Royal Air Force Transport Command on 04 June 1959, allocated to No. 99 Squadron, serial XL636, she was named ‘Argo’. She operated within the Britannia pool at RAF Lyneham from 02 November 1960 and was withdrawn from service and flown to RAF Kemble for storage on 22 December 1975. Registered OO-YCE from 23 February 1976, she was purchased by Young Air Cargo on 6 May 1976 and flown to Stansted Airport the same day. 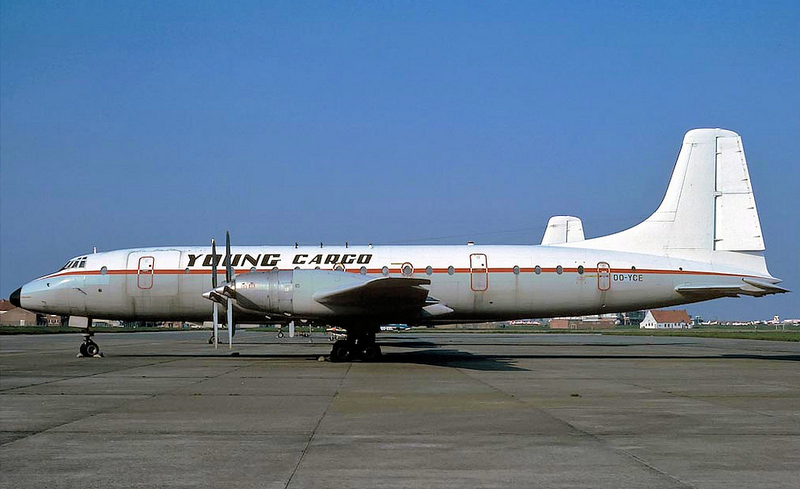 On 13 May 1976, OO-YCE was flown to Brussels and after service with Young Cargo was withdrawn from use and stored at Ostend in December 1977. With 17 958 flying hours and 7918 landings to her credit she was broken up and scrapped at Ostend August 1978.